Over 125 young people created and posted Human Rights Day web banners for the contest sponsored by Seattle Office of Civil Rights, Councilmember Mike O’Brien and the PugetSoundOff.org youth web site. The winner of the contest is Pazuzu Jindrich from Seattle Public School’s Chief Sealth International High School. The contest on PugetSoundOff.org gave young people an opportunity to build their media skills and share their views of Human Rights Day. See more at pugetsoundoff.org. and also view all the banners entries at http://pugetsoundoff.org/contest-entries. PugetSoundoff.org is a youth civic engagement project that provides digital literacy skills training as well as serving as an online hub for youth expression in the Seattle and Puget Sound area. The project is managed by the Seattle MetroCenter YMCA in a partnership with the City of Seattle and University of Washington. Funding is provided in part by the City of Seattle Department of Information Technology using cable franchise funds provided by Comcast. PugetSoundoff.org helps further the City’s e-government, civic engagement and broadband adoption goals. Youth also blogged about Human Rights issues. An video interview of Councilmember Mike O’Brien conducted by Ameera Brooks is posted on PugetSoundOff and on Councilmember O’Brien’s blog. The PugetSoundOff.org site also offers digital media instructional materials for teachers and students at http://pugetsoundoff.org/get-started/digital-media. The site uses a Drupal platform. For more info on Puget SoundOff and how school or community groups can use the site, contact Chris Tugwell at ctugwell(AT)seattleymca.org. For more on the City of Seattle’s role, contact CommunityTechnology(AT)seattle.gov. This post is the first in a series of “TMF Success Stories,” featuring updates on Technology Matching Fund recipients. 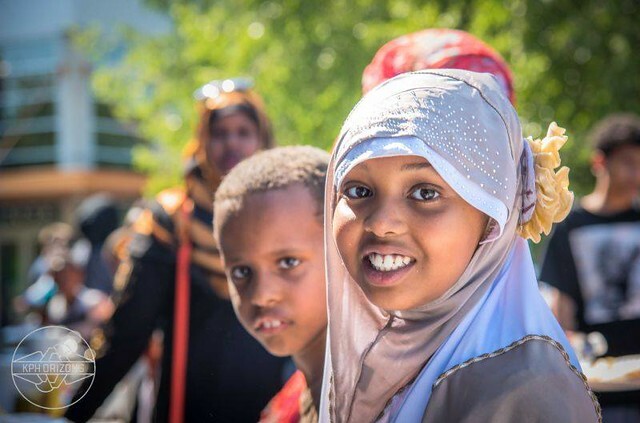 The Multimedia Resources and Training Institute of Seattle, or MMRTI, empowers youth to become leaders by using media technology to create stories about their cultural heritage, communities, and themselves. In partnership with the East Africa Arts and Cultural Association, MMRTI was a Bill Wright 2009 Technology Matching Fund recipient. MMRTI serves the immigrant community in the Seattle area, and, through the grant, has increased its capacity to serve more people. They have not only updated their computer equipment and software, they recently moved into a new, larger space better suited to their exciting new programming. In addition to overseeing youth programs, MMRTI partners with local nonprofits and service providers to reach a broader community. For example, in addition to the multimedia courses offered in the past, MMRTI now holds Microsoft Word and Excel classes for adults in partnership with WorkSource. MMRTI Executive Director Assaye Abunie is excited about continuing to form partnerships with organizations to provide technology assistance and training. One of MMRTI’s best known programs continues to be Ethio Youth Media TV, which aired weekly on SCAN-TV. Currently, many clips are available on their YouTube channel. The topics covered by the youth are issues directly affecting their community, including: cultural heritage, health and addiction issues, youth violence, and social justice. MMRTI trains youth to use Final Cut Pro to edit the video, and uses two cameras and wireless microphones for optimal picture and sound. Binyam, a participant in Ethio Youth Media TV, has benefited greatly from the program. He joined MMRTI with limited technology and media skills. As time went on, his skills increased and he became more involved in video production and editing. He brought many other youth to the program, assisting them along the way. Binyam, along with other youth working on technical support and video production, became more visible in the community. As Binyam’s skill in video production increased, he organized some of the youth participants and made a short documentary film using the Final Cut Pro program. As a youth media and TV program lead, Binyam, with some of technical support team, has interviewed many event organizers, business people, community leaders, city officials, and government representatives. His interviews cover many community and youth issues. Topics include: violence, underage drinking, drug use, and HIV/AIDS. Ethio Youth Media TV celebrated its 5th anniversary in March!